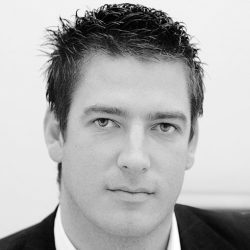 Since Click Consult was born in 2003, Matt Bullas has demonstrated his expertise in digital marketing and collected a portfolio of prestigious awards in recognition of his success. He fought off competition from UK entrepreneurs to win the Digital and Media Entrepreneur of the Year award. Under his leadership, Click Consult has consistently been voted of the UK’s best digital agencies by Econsultancy and The Drum, as well as being named Most Effective Agency at the Performance Marketing Awards 2018 and Search Agency of the year at the Northern Digital Awards 2018. 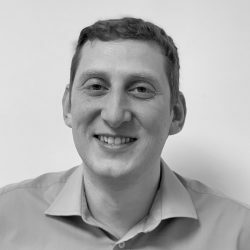 Click’s success is driven by Matt’s core principles to operate strategically, with technical expertise and creativity, while valuing people and relationships – values learned in a career that began stacking supermarket shelves and now sees him listed among the leading digital influencers in the UK. Clients worked with: Procter & Gamble, Vodafone, 02, Virgin, Panasonic, Sony, Alba, Bush, T-Mobile, BT, Philips, Tefal, Samsung, Toshiba, LG, Sharp, Bosch, and Russell Hobbs. 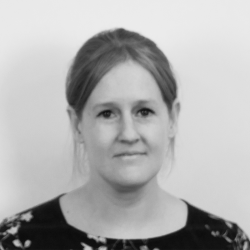 Julie joined Click Consult in July 2010 as a Business Development Manager and is responsible for the strategic direction of the Business Development and Account Management teams, ensuring commercial growth through new and existing business. Julie’s experience and skills include building and maintaining strong client relations and ensuring our clients are fully satisfied with their partnership with Click Consult. A strong commercial awareness and helping clients to maximise online growth is pivotal to Julie’s role within the business. She has a degree in Business Marketing from Manchester Metropolitan University and Julie also holds a diploma with distinction for psychoanalysis. Clients worked with: boohoo.com, Calor Gas, JJB Sports, Lloyds Pharmacy, Hills Pet (part of Colgate Palmolive ), 3663, G4S, Mizuno, St John Ambulance. Alan first joined Click Consult in 2008. 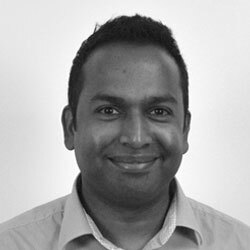 With over ten years’ experience in search marketing web analytics, strategy planning and data analysis. 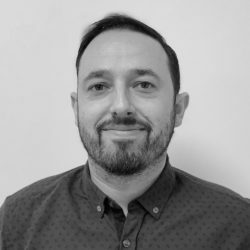 Alan is exceptionally adept at creating successful paid search (PPC), organic search (SEO), conversion rate optimisation (CRO) and content marketing campaigns for our clients. His role covers strategy and operations meaning he is ultimately responsible for client performance. He takes pride in keeping our teams at the cutting edge, creating best practice for strategy, process and technology. Alan was present when we were first recognised ​for our performance when we won our first award in 2011. Click has now received a total of 29 awards (with a further 5 highly commended) from 14 different awarding bodies in recognition of the campaigns we have run for our clients and our effectiveness and success as an agency. Being a data and process driven individual, Alan is most proud of our Most Effective Agency 2018 Award from the Performance Marketing Awards. Alan is exceptionally focused on recruiting the most talented of resource, whilst developing and nurturing the talents of our existing teams. Clients worked with: 3663, ABTA, boohoo.com, Calor Gas, Capita, Certas Energy, Eurocell, Getting Personal, HomeLet, Interflora, Kwik Fit, Liverpool Victoria, Lloyds Pharmacy, Slater & Gordon, St John Ambulance, Truprint, UK Mail, Unibet, Viessmann. Katherine joined Click Consult in June 2012. Her role is extremely varied as she is not only our Company Secretary, but she is also responsible for the the HR operation across the business. She has also been a qualified solicitor for over seven years. Katherine loves the fast pace of Click Consult and the fact that no day is the same. She has strong commercial awareness and is quick thinking. Her career so far has been very diverse and she is not your typical solicitor. Katherine lives on the Wirral where she was born and bred. She attended Nottingham Trent University where she graduated with a degree in Law. 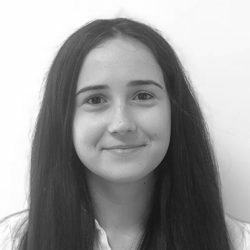 Prior to working at Click Consult, Katherine worked in the in-house legal teams at one of the UK’s leading supermarkets, as well as at the UK’s largest independent drinks manufacturer and distributor. 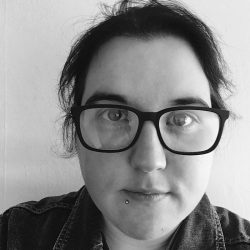 With over three years’ marketing and professional writing experience, an MA with distinction in Creative Writing and a first-class BA (Hons) in Creative Writing and English, Karen has excellent content marketing, editorial, research and project management skills. She has contributed to a variety of blogs, literary magazines and anthologies and her creative and critical writing has earned her a number of awards and commendations. Clients worked with: Lloyds Pharmacy, Gigantic, Chill Insurance, Square Meal, Marlow’s Diamonds, Hill’s Pet Nutrition, Monster Supplements, Adjustamatic, CJ Retail Solutions. 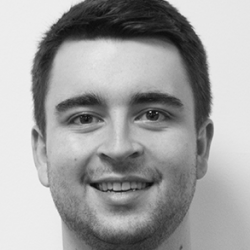 Having worked previously in the public sector, Mark joined Click in 2014. Mark is responsible for the performance and development of the Organic Search proposition which includes an overview of client objectives, strategy and performance. He manages the SEO technical and strategy teams to find solutions to performance issues and strategies as well as opportunities for growth. Mark is responsible for ensuring we are at the cutting edge of Organic Search in line with Google’s ever evolving algorithmic updates and heads up our SEO research and development function.. He also leads reporting using Google Analytics 360 and Adobe Analytics (previously Omniture). Head of Business Development Anna began her career with Click Consult as a Business Development Executive after graduation. 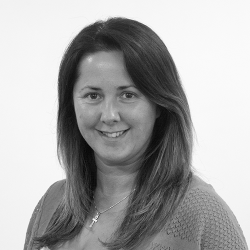 Anna’s career has evolved over her time at Click Consult and she now heads up the Business Development team. Anna’s main role involves identifying the best possible strategy for new clients against their specific brief. 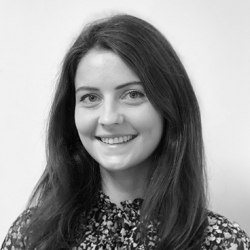 Anna also works closely with the Account Management team peer reviewing accounts and identifying opportunities for clients to grow their businesses online. Meeting clients and working with them to help realise their objectives is what Anna enjoys most about her job. Find out more about Anna! Clients worked with: 3663, Peckforton Castle, Amigo Loans, Dutton Gregory, Lawn Tennis Association, The Landmark London, Calor Gas. Byron is responsible for the performance and success of our clients’ strategies leading to sustainable​ ​business growth. He provides valuable commercial support to the Account​ ​Management team , as well as assisting the delivery and strategy teams in finding solutions to​ performance issues.Byron is extremely talented at determining realistic commercial objectives with our clients and is an excellent communicator.​ ​Byron joined Click Consult in​ ​January 2014 as a Key Account Manager and now uses his search experience, communication and organisation skills to assist the wider team as an Account Director. 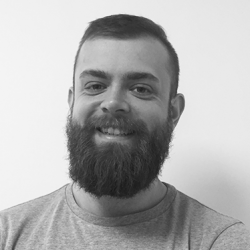 Dave has been with Click since 2011 and heads up the Paid Search (PPC) team as well as taking responsibility for key PPC accounts. Developing best practice, delivering PPC training and liaising directly with clients are also core elements of his role. 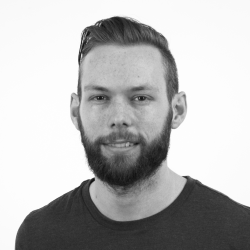 Dave’s extensive Excel knowledge has seen him develop a range of PPC optimisation and reporting tools. A further strength is high level data analysis, developed while studying for a Master’s Degree in Mathematics. 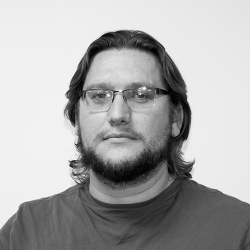 Dave joined Click in 2012 and has many more years of experience in the design industry, beginning with cartography and print, then moving to the web. He says that while he has amassed a useful amount of experience, he’s always keen to learn more. Find out more about Dave! Clients worked with: Somerfield, Iceland, Sea Life Centre, Blue Planet Aquarium, National Trust, NSI Nails, Belle Lingerie, Chess Telecom, London Translations, Photoworld, Usher Bathrooms, Value Interiors, Waters and Sons. Andrew joined Click Consult as an Organic Search Executive in June 2011 before moving to head up the in-house content marketing team. Andrew is a Chartered Marketer through the CIM and Oxford College of Marketing and has a BA in Business Studies. His role focuses on delivering the marketing plan in line with company objectives by using best practice methodology in both digital and offline channels. He is responsible for the strategic direction of the content marketing and digital PR team and has a strong awareness of what it takes to really drive authority to a site. He is pivotal in remaining at the forefront of Google best practice from an off page, link acquisition and digital PR perspective and ensures his team are delivering cutting edge content marketing and digital PR campaigns to deliver strong performance for our clients. 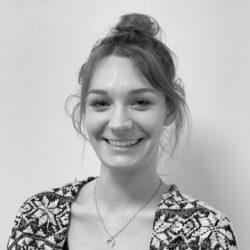 Charlotte heads up the technical SEO team and has been with Click since 2011 in a role focusing on growing clients’ businesses across the digital landscape via technical and on-site SEO, best practice consultation and strategic digital marketing. She uses her vast SEO experience and degree in Computer Information Systems to the full, working closely with all departments and clients, researching and executing technical SEO on a number of scales and innovating beyond best practice to achieve the very best results for her clients. She is also responsible for the quality and quantity of the work delivered by the SEO team, including capacity management and account allocation. 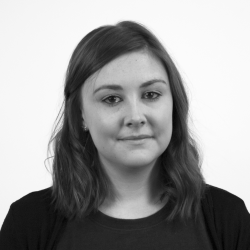 Charlotte has worked on a number of client sites that Click has received awards for, including LloydsPharmacy Online Doctor and Oxfam. Manish Dev is a member of the Institute of Chartered Accountants England & Wales. With an exceptional academic record, he has gained professional experience in some of the leading global organisations in professional services, multinational corporations and management consultancy. Manish was nominated finalist for Business Finance Leader 2014 by the Manchester Society of Chartered Accountants and Young Finance Director of the Year 2014 at the North West Finance Awards. Manish works closely with the management team of Click to help them optimise financial performance and continuously improve operations. 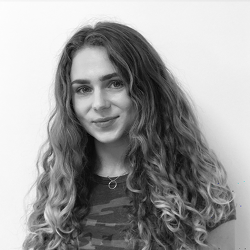 Since joining Click in 2014, Faye has become adept at maximising social media engagement and promoting channel growth for clients across a wide range of platforms utilising skills gained from her background in Events Management and Marketing. Her role involves workflow management, as well as content planning and creation for clients spanning a variety of industries encompassing both B2B and B2C. Faye’s role has enabled her to become Hootsuite certified in Social Media Marketing and build highly valuable blogger and influencer relationships in various sectors through Award-Winning content marketing campaigns, such as Oxfam ‘Dressed by the Kids’, in addition to various Chill Insurance and Lloyds Pharmacy campaigns. Faye graduated with a BA (Hons) degree in Events Management from University of Chester. 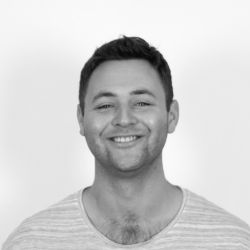 Stuart joined Click’s SEO team back in 2012, after achieving a first class BA (Hons) in Marketing w/ Management, and is now one of our most experienced Senior Organic Search Strategists. His role is pivotal in ensuring that our clients commercial objectives are fully aligned with the correct organic strategy to achieve success. His specialities include technical SEO implementation interrogation of Google Analytics data and on page content strategy. Stu is a proficient Python developer, and has built several tools as part of Click’s service proposition, including pageTRAX™, an internal linking tool that replicates Google’s original PageRank algorithm. Find out more about Stuart! 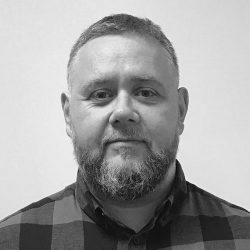 Andy has over nine years’ SEO experience and specialises in on page technical implementation, on page strategic content mapping, penalty analysis, and page speed optimisation. His career background includes PHP programming, web development, and website and Windows server management. He was pivotal in the creation of Click’s proprietary outreach management platform, linkTRAX®, and is the company’s data architect when finding bespoke solutions to SEO issues. Andy is extremely thorough in his due diligence to ensure the best search strategies are applied – an eye for detail that is second to none. With over 9 years experience as an in-house SEO at some of the UK’s top brands, Stefan joined Click Consult with core strengths in technical SEO, on site content strategy mapping, analytics & reporting, and digital strategy. He has undertaken large scale technical and onsite content optimisation for a number of leading brands, link acquisition (including gaining site mentions into Google News, the BBC, Mashable and the Daily Mail), top-level reporting, and team growth and management. He’s also implemented large scale site migrations including HTTP to HTTPS, site redesigns and CMS migrations, HrefLang across several different languages, implemented AMP landing pages and been closely involved in ASO (App Store Optimisation). Stefan has an extremely talented eye for SEO growth opportunities and is extremely adept at translating this vision into workable, best practice strategies. 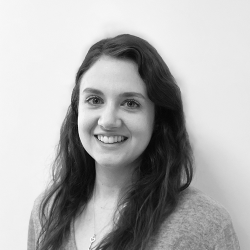 Stephanie joined Click in September 2015 and enjoys creating engaging and authentic content for our clients. She has a degree in English from Liverpool John Moores University and experience of creating various types of content, including web copy, blogs, infographics, eBooks and e-magazines. She has had involvement with a number of clients that Click has won awards for, including Chill Insurance and LloydsPharmacy Online Doctor. Find out more about Steph! 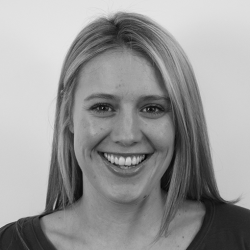 Lauren has worked in search marketing for four years and has a Master’s degree in Business, specialising in E-commerce. Lauren’s an analytical thinker and a specialist in discovery and planning. Clients worked with: Calor Gas, Tyres On The Drive, Equality and Human Rights Commission, Buy Spares. Keith is our Shopping Campaign specialist ensuring we are using the latest features and pioneering new structures, bidding techniques and optimisation methods. He has been with Click since autumn 2014, having previously worked in the hospitality industry (David Lloyd, Liverpool FC, Harvester). Keith has an BSC in Business Information Technology and utilises his knowledge of information systems to build tools and data processors. He enjoys staying ahead of the industry testing the latest features while improving structure and optimisation techniques, but his favourite part of working at Click is building strong relationships with existing and future clients. Clients worked with: Peckforton Castle, Lakelovers, Shelfstore, STEM Graduates, Click Cleaning, Simply Academy, Festive Lights, Act-On, Demon Tweeks, Tweeks Cycles, Uber Kids, Rectella, Peckforton Castle, RAF Museum, Getting Personal. 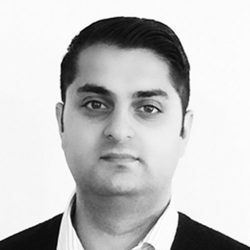 Fahim joined Click Consult in February 2013 and after spending over two years here he left and become the National Account Manager at Chip & PIN Solutions, then Operations Director at UK Legion Marketing, returning to Click in 2017. Fahim has a degree in politics and law, a passion for business development and meeting new people in his role as Business Development Manager, and in his spare time, he enjoys hiking. Carmen is a Paid Search professional with more than five years’ experience, and has a marketing background. She is the owner of CRO, Programmatic, Affiliates and Paid Social. Clients worked with: Student Finance Company, St John Ambulance, Truprint, ABTA, Netflights, Bidvest 3663, Peckforton Castle, Hill’s Pet Nutrition, Chess Telecom. 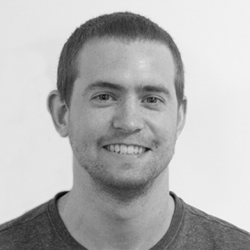 Mike has more than six years’ experience in search marketing and first worked at Click from 2012 to 2015 as a senior BDM. With a consultative approach, Mike takes the time to understand a prospects goals and pain points and then puts together a strategy aligned to achieve the best possible ROI. He enjoys meeting with prospects and clients, helping them to realise their potential and grow their online business. Clients worked with: Chill Insurance, Chess Telecom, Monster Supplements, Ordnance Survey, Gigantic, HomeLet, LakeLovers. 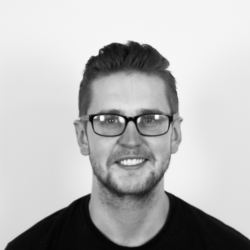 Matt joined Click in 2015 as an Account Manager having previously spent three years specialising in Organic Search practices. 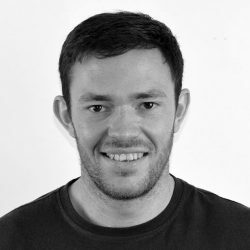 Along with a degree in Journalism and Sports Development, Matt also has a background in content writing having written for his own blogs and various publications. 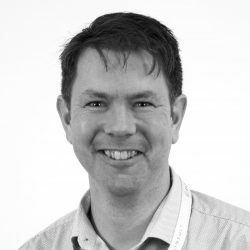 At Click, Matt has been involved with award-winning SEO Campaigns for LloydsPharmacy Online Doctor and managed key paid search clients such as Ordnance Survey, Getting Personal and Truprint. Find out more about Matt! Gemma’s key focus is the preparation of client documents, which plays to her strengths of organisation, admin and time management. 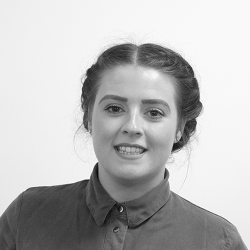 With a degree in Geography, Gemma switched her focus to search marketing when she joined Click in 2014. Clients worked with: ABTA, Chill Insurance, Oxford Open Learning, Rectella. 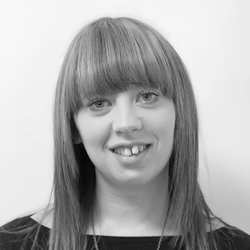 Amy is an admin queen we puts together pitch documents and presentations, helps with client renewals documents and handovers. She’s proficient in platforms such as Salesforce (and is system administrator and gives internal training), Act-on, ResponseTap, InDesign (for which she’s also a trainer), CloudAmp (Salesforce Plug-in to track lead sources). She has also initiated a a system to tracks where our leads have come from. She joined Click in 2014. Clients worked with: Monster Supplements, NSI Nails, And So To Bed, Curtain World, The Blinds Company, Ubertas, Square Meal. 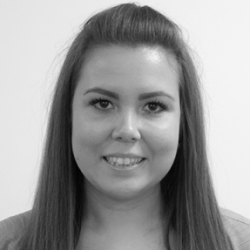 Kerry joined Click in 2012 after graduating from Liverpool John Moores University with a 2:1 degree in Marketing. Her role focuses on international campaigns, and she is responsible for building and maintaining new relationships with influential and relevant bloggers on a daily basis, nurturing contacts through excellent communication, and creating strong relationships that will ultimately develop our clients’ online visibility. Sharon started with Click Consult in 2008 as an Accounts Administrator, She was enrolled into night school to gain a Diploma in Accounting with the Association of Accounting Technicians (AAT) which she successfully completed in 2011. She works closely with the Chief Finance Office adapting the finance department and its procedures to ensure it runs at its best. Find out more about Sharon! Michelle joined Click in 2011 after a successful 11-year career working for Bank of America. 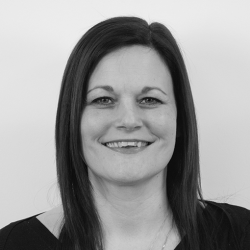 Michelle works within our Finance department ensuring clients’ accounts are kept up to date and also supports other tasks within the Finance team. 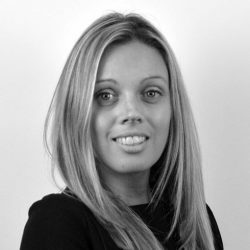 Zoe has over 10 years’ recruitment experience and has worked for one of the largest recruitment agencies in the UK providing candidates to global blue chip and SME companies. 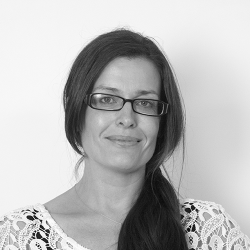 Zoe is now responsible for recruiting high calibre talent for Click Consult and also supports the Company Secretary. Fast-paced with no two days the same, Zoe finds her role at Click fresh and exciting. With more than 20 years’ experience as a B2B copywriter, journalist, and social media and content marketer, Chloie has a track record of developing powerful, engaging content for a wide range of industries, audiences and channels, both print and online. She has a friendly and collaborative working approach, seeking creative, innovative solutions, and joined Click’s in-house marketing team in November 2014. 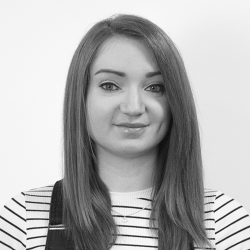 Chloie’s role in the Marketing Team sees her creating content marketing assets, blogging, and inbound marketing, as well as managing Click’s social media accounts and quality control processes for copy. 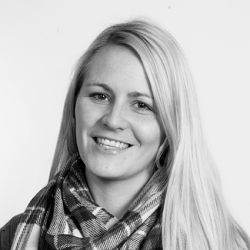 Chloie is Hubspot Academy certified in Content Marketing and Inbound Marketing. 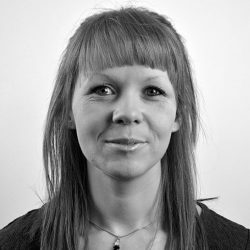 With over ten years’ professional writing experience, Anna has been with Click since 2011 and is adept at producing engaging and informative copy for a wide range of clients. She also has excellent research, marketing and editorial skills. After completing a Scottish MA in Mental Philosophy at Edinburgh University, she honed her writing skills in a number of roles, including as a direct news correspondent for a digital content provider. She prides herself on her ability to tailor content to appeal to any audience and has been involved in award-winning content marketing campaigns for clients including Chill Insurance and LloydsPharmacy Online Doctor. 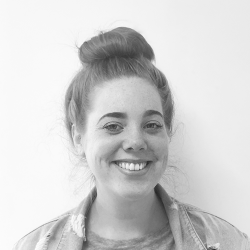 A graduate with a first class honours in graphic design, Chloe was YCN Award overall winner in 2015 and her strengths include illustration, Photoshop and idea generation. Find out more about Chloe! 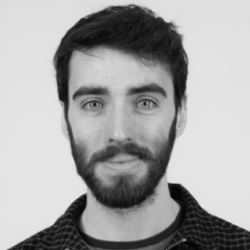 Since joining the Click content marketing team in 2015, Adam has been part of a variety of award winning campaigns, such as Oxfam’s “Dressed by the Kids” (Best Charity Campaign 2016) and Chill Insurance’s “Insuring Ireland’s Future” (Best Financial Campaign 2017), along with seeing the company win Digital Agency of the Year 2018. During his time at Click, Adam also became Hootsuite certified in Social Media Marketing. Before joining Click, Adam studied Media Professional Studies & Television at Liverpool John Moores University and discovered an interest in social media, going on to work for Cream/Creamfields as a digital executive, using his interest in digital and skills learnt from his course to edit videos, create assets for social purposes, and manage social accounts with a combined following of over 1.5 million. Jacob joined the Campaigns and Social Media team in Spring 2016. Previously he created a successful documentary for national TV and produced marketing videos for online campaigns. He has also trained with the BFI, Pinewood and D&AD, and developed an eye for using narrative to promote brands. Find out more about Jacob! Clients worked with: Thomas Cook, FinnAir, Dulux Trade, British Gypsum, Bristol Airport, Lawshield, Velosure, KLS Law, Adjustable Beds. 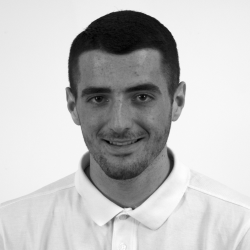 Jack joined Click in 2015 after gaining a Level 3 NVQ in Marketing and Level 3 Certificate in The Principles of Marketing. 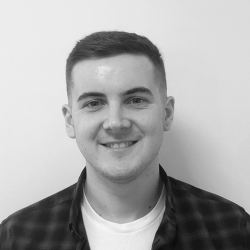 Starting at Click, Jack was part of the outreach team, where he built relationships with bloggers and website owners across a range of industries and has continued to do so since becoming part of the content marketing team in early 2018. 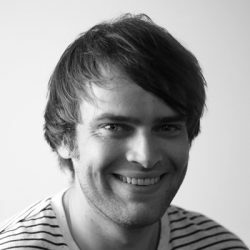 During his time at Click, Jack has worked on a number of award winning campaigns including a Digital Impact Award and has also contributed to company awards, such as FSB Awards and UK Agency Awards. Clients worked with: LloydsPharmacy Online Doctor, Liverpool One, Kwik Fit, Chill Insurance, HomeLet, Betway. Father of two, keen sitter in chairs, reader of books and listener of podcasts – John has a 2:1 degree in Literature and an MA (Distinction) in Creative Writing. 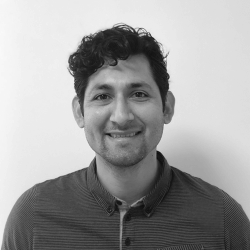 John joined Click in 2015 and has spent the intervening time accruing industry certifications including Google IQ, AdWords, Mobile Sites and Digital Sales, Hubspot Inbound and Email, SEMRush Certification, and completed a number of HTML and CSS courses. He has also written regularly for top digital publishers such as State of Digital, SEMRush, B2B Marketing, The Drum, and has had individual articles on many more. In addition to this, John speaks at a variety of industry events on a host of search marketing topics, including SEO fundamentals, Google Data Studio and voice search. Find out more about John! Ant implements and optimises paid search campaigns for a portfolio of clients, with data optimisation and tracking key area of expertise. 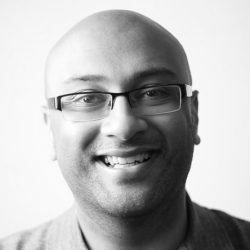 Having been with Click since 2015, Ant is fully certified in Google AdWords and Bing Ads, and also has a Masters in Astrophysics from the University of Liverpool, plus a PGCE Physics with Mathematics. While studying for her MA Digital Publishing in Oxford, Ionie was introduced to the business of digital marketing and joined Click Consult soon after. Our resident specialist in local SEO, she has worked with clients to optimise their listings (Google My Business, Bing Places, Apple Maps and Facebook Local), build/update citations efficiently, and improve on-page ranking factors. With such a strong background in content, Ionie knows how to grow clients’ organic visibility using data-driven commercial and user-focused content strategies. 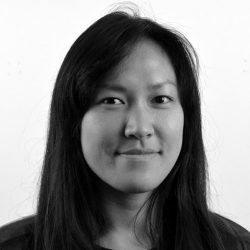 She has been involved with successful new site builds and site migrations, ensuring each project followed SEO best practice with the least amount of business disruption. She has experience with eCommerce and lead generation clients, both regional and international. For fun, she is now studying for a second master’s degree in creative writing at the University of Cambridge. 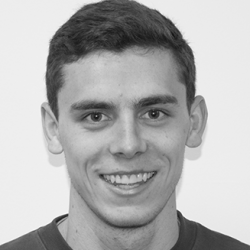 Originally from Hertfordshire, Will moved to the North West to study at the University of Liverpool and ended up staying in the area. After uni, Will worked in data analyst roles in the DWP, Pensions and Car Rental before joining Click in 2017. Will is Google Ads certified. 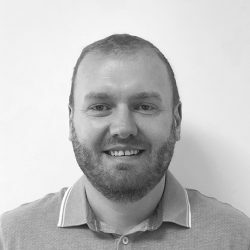 Will specialises in troubleshooting complex tracking solutions, liaising with clients and developers to maximise the return on their investment by spending budgets in their most effective channels. Clients worked with: Glasdon, Truprint, simplehuman, Chelford Farm Supplies, MPP Global. 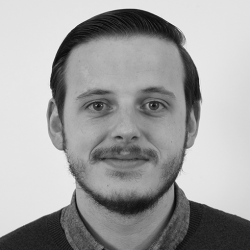 Tom joined Click in May 2015, with over five years’ experience in digital marketing. He has experience using various project management tools. Tom also has experience interpreting and analysing large volumes of data in order to give insightful recommendations to help improve site performance. 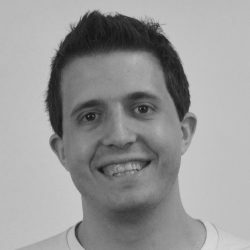 He has used a range of CMSs including Tridion, Umbraco and Episerver and has recently increased his web development knowledge to include Magento and WordPress. Find out more about Tom! 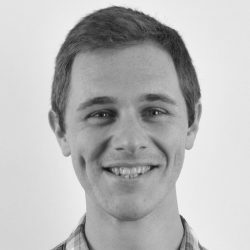 Scott first worked for Click in 2013 where he spent time in the Content and Outreach team, before leaving to become Group Editor for two national food and drink magazines. Scott’s focuses during this time were mainly in the B2B market and he has worked with some of the largest brands in the hospitality sector. After spending the early part of 2016 as a freelance journalist, working for ESPN and contributing to several blogs, Scott returned to Click to work in the Marketing department. Since he came back to us, Scott has taken charge of a variety of tasks and looks after the awards submissions which has seen us pick up an incredible 80 nominations and 17 wins since the start of 2017 . 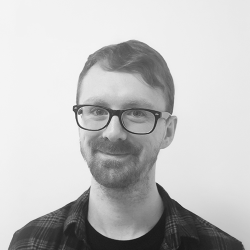 Scott has taken several HTML and CSS courses and studied both English at the University of Chester and Journalism at Liverpool John Moores University where he specialised in Media Law and Ethics. 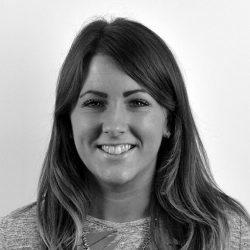 Sophie has over 5 years’ marketing experience within various industries and has experience using a variety of marketing techniques. 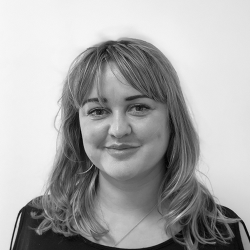 Since joining Click in 2016, she has seen the content marketing team go from strength to strength, and has been involved with some award-winning campaigns as well as seeing us win Digital Agency of the Year 2018. Before joining the company, she worked as a marketing executive in various industries including luxury property, tourism, and financial services. These roles were varied and required the use of many marketing activities including, email marketing, content creation, social media management, and campaign development. Sophie has a First Class BA (Hons) Degree in Marketing with Tourism from the University of Chester, and a Diploma in Travel and Tourism during which time she won the award for Student of the Year. 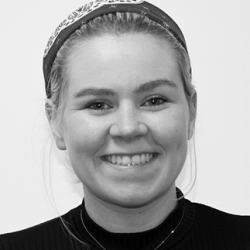 Emily stated at Click in 2017, has a 1st class Masters in Mathematics from Manchester Metropolitan University (where she specialised in programming and working with data) and is Google Ads certified. In her spare time, Emily enjoys spending time with family and friends and visiting new places. Andreea has a First Class degree in Film Studies and Economics from the University of Liverpool and is Google Ads certified. In her free time, she enjoys watching movies and is a big fan of the Eurovision Song Contest. Clients worked with: simplehuman, Liverpool ONE, Simply Academy, Maykenbel. Nicola joined the Outreach team in 2017 before moving into the Content Marketing team, where she builds relationships with a wide range of bloggers. 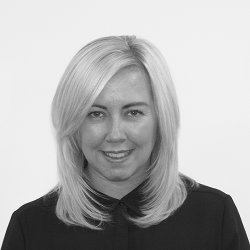 She has worked on award-winning campaigns for brands including Julian Charles and LloydsPharmacy Online Doctor, as well as contributing to company awards. 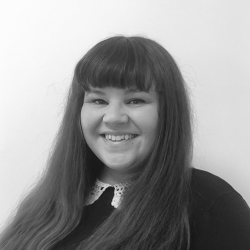 Nicola graduated from Liverpool John Moore’s University in 2014 with a degree in Creative Writing and has experience in blogging and social media. In her spare time, Nicola enjoys writing and blogging. After graduating with a 2:1 in Drama in 2011, Shannon started her career in digital marketing as Social Media Coordinator for a national cookware company, creating and managing the social media presences for several brands. Following that, Shannon moved to a solicitor’s where she began to work in paid social ads, driving business worth over £2m in revenue in one year alone. She specialises in Facebook advertising, blending her creative experience of running organic social media campaigns and analytical skills of managing successful paid Facebook campaigns. Jay studied Computer Science at Liverpool John Moore’s University where he was introduced to the world of digital marketing and joined the team in 2017. Since then Jay has developed a number of key skills which include technical analysis and analytics. Find out more about Jay! 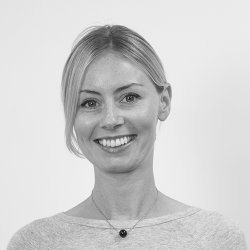 Ali has more than 5 years’ experience in the eCommerce and payments industries, and has recently relocated from Sydney where she worked with some of the world’s leading eCommerce and accounting software platforms. Her experience has given her a strong skillset including relationship building and negotiating. She enjoys working in a fast-paced, dynamic environment and helping her clients to reach their business goals. Clients worked with: Liverpool ONE, Shopify, Magento, PayPal, Intuit, Big Commerce. 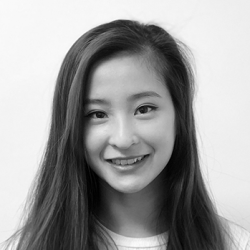 After graduating from the University of Liverpool with a degree in English and Communications & Media Studies, Karen worked in Hong Kong (where she is from) for a year in marketing and content creation for the retail and lifestyle sector, joining Click in 2017. She also has a a bilingual Diploam in Chinese and English. Her skills include writing, creating fun visuals like photography and videography, and dance. 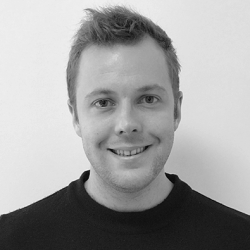 Louis has been a designer now for over five years working in-house, agency and freelance. 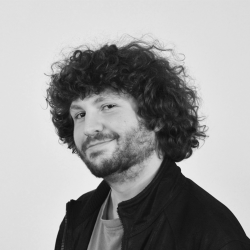 At Click, Louis has designed content for award-winning campaigns for Julian Charles and Chill Insurance and designed websites for Pall Mall, Jefferies Solicitors and BPI. James worked for the RBS group for 16 years in a number of roles in relationship management and sales, in particular in Private and Commercial Banking, as well as being a business manager for SME business and more recently a senior personal banker helping clients with their personal financial goals and plans. He gained his Chartered Banking Certificate in personal banking in 2016. 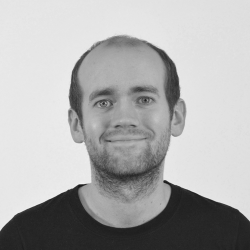 Andy joined Click back in 2014, and as Senior Digital Design Executive is responsible for creating websites, ebooks and infographics, as well as photoshopping workmates into compromising situations. He’s worked on designs for award-winning campaigns for Chill Insurance, Oxfam and LloydsPharmacy Online Doctor. In his own time, Andy is also an illustrator and competes regionally in powerlifting. Find out more about Andy! Sarah possesses a wealth of search, digital and web project experience and has over five years’ experience working with full service clients across a wide range of industries.Sarah is a natural communicator and has demonstrable experience of driving through large scale search strategies from start to finish. Sarah prides herself on her strong commercial acumen and her ability to identify growth opportunities within data for all of her clients. Extremely adept at ensuring all internal depts are pulling together to deliver what is required for her clients to achieve commercial objectives set. A very talented key account manager from end to end. In her spare time, Sarah enjoys researching, writing and creating. Sarah has a degree in English literature and creative writing and a Masters in modern and contemporary fiction. Holly graduated from Leeds Trinity University with a degree in media. Before joining Click, she gained experience in radio, television and marketing. Her skills include videography, Adobe Premiere Pro and writing. 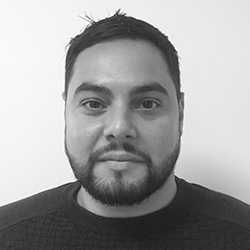 Danny joined us in September 2018 from the Igaming Business Dept at Clarion. His role involved looking after customers, operators, game developers and gaming regulators. Prior to that he worked as a territory manager for Ecolab looking after customers in the hospitality industry and at Flextronics looking after some of the most important distributors of computer spare parts in Europe. Danny is passionate about different areas of digital marketing and in his free time he enjoys spending time with his 6 year old son. Before starting at Click, Mark helped assist with the marketing strategy for “The Buying Party”, an independent film based on the life war poet Wilfred Owen, which included an email campaigning and social media marketing. Mark enjoys building and maintaining relationships with new and existing bloggers whilst also researching for new ones for relevant campaigns. Since joining click, Marks efforts have contributed towards the business being awarded Digital Entrepreneur Awards: Digital Agency of the Year and the Northern Digital Awards: Search Agency of the Year 2018. 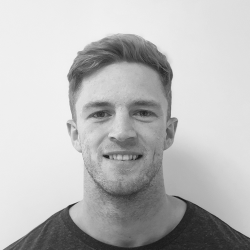 Mark graduated from Liverpool John Moore’s in 2015 with a 2.1 in Business Management and has recently graduated from the university with a Masters degree where he achieved a Merit in Digital Marketing. 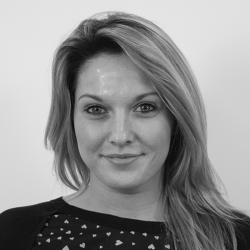 Educated to Master’s level, Vanessa possesses a very analytical mind which is key to her role as an account manager. Vanessa is multilingual and has been able to use this skill in her various roles whilst managing accounts in Central America, USA, Spain and the UK. She enjoys meeting new people and learning about different cultures. 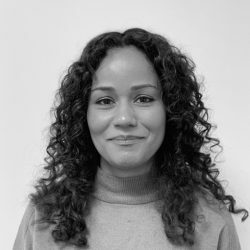 As an Account Manager, Vanessa is responsible for the day-to-day management of key accounts from initial campaign setup to budget management and performance analysis. Chris began his content marketing career as a Content Lead with a focus on researching and writing digital content, moving onto Creative Lead specialising in generating ideas for digital marketing campaigns and gaining links from publishers across the web. Chris has worked on projects that have received coverage from top-tier sites including Lifehacker, Lonely Planet, FOX News and Mail Online with some projects receiving over 200 features. 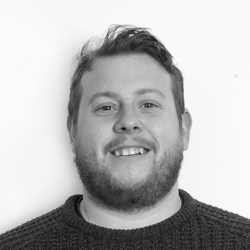 He is responsible for the strategic planning of both on page and off page content and has a keen interest in the data that underpins and dictates content strategy.Chris graduated from Goldsmiths College, University of London in 2013 with a 2:1 degree in Sociology and Politics. Dan began his marketing career as a content writer before transitioning into the world of digital PR. He has executed numerous successful content marketing campaigns from an editorial and journalistic perspective to win PR coverage for our clients.. Dan has been instrumental in developing our Digital PR proposition further in line with Google best practice and has seen his work being recognised in a number of high profile online publications. Dan is proud to have seen Click Consult win Digital Entrepreneur Awards’ Digital Agency Of The Year, Performance Marketing Awards’ Most Effective Agency and Northern Digital Awards’ Search Agency Of The Year since joining the business in 2018. He graduated from the University Of Central Lancashire in 2012 with a 2:1 degree in Journalism. Sarah first joined Click in 2017. Since then, she has worked on award-winning campaigns, including the Oxfam ‘Dressed by the Kids’ campaign, and campaigns for brands such as Julian Charles, Chums, and Chill Insurance. She comes from a predominantly editorial background, having gained experience at a publishing house in Manchester, and a digital magazine publication in Cheshire. She has a degree in English Literature from Liverpool Hope University, and enjoys reading, writing and blogging in her spare time, as well as playing the piano. Clients worked with: Chums, Julian Charles, IDBS, Oxfam, The Law House, Chill Insurance, Kwik Fit, TyrePlus, Ellisons, HomeLet, Pall Mall. 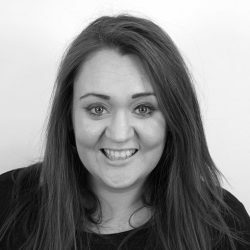 Claire has a background in SEO and content marketing within telecoms, insurance and finance, and is also experienced in content creation, email campaigns and social media management. Claire studied English Literature and Journalism at Chester University, and is Google Analytics certified. She’s lived and worked in Liverpool, Manchester and Exeter, and been a part of both small/ start-up businesses as well as multinationals, along with freelance SEO writing. Clients worked with: O2, Asda Car Insurance, Liverpool Royal Hospital, Mustard.co.uk, Grantfinder. With experience in marketing and search engine optimisation (SEO), covering all aspects of SEO, from link building, to copywriting, reporting, auditing and more. He has been responsible for successful press release campaigns including features in BBC North West. He’s also built, optimised and maintained more than 15 websites. 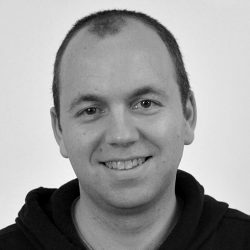 Dan’s core strengths include technical SEO, on-page optimisation, housekeeping & monitoring, analytics & reporting, and eCommerce development.